Transparent Page Sharing is the technology in VMware that scans and reclaims pages in memory. 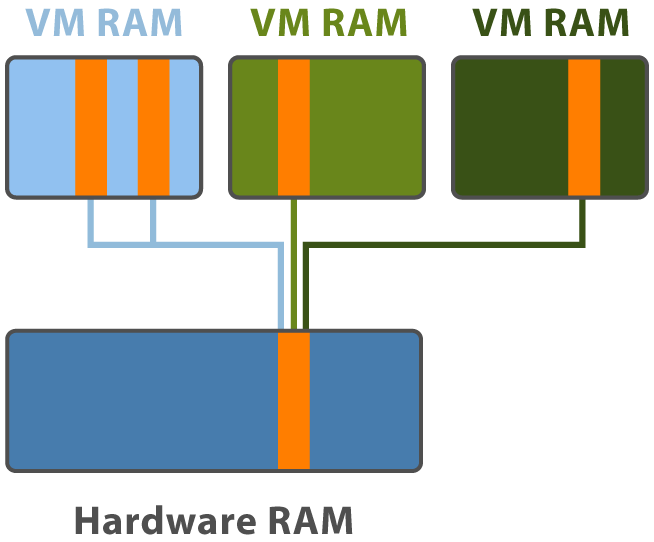 For instance if two virtual machines have the same content in memory VMware will share them to give more memory back to other virtual machines. You could compare it to some deduplication storage techniques. This is a great technique and actually works really well with close to no overhead. This is enabled pr. default and will easily reclaim 20-30% memory on older processor systems. of 2MB instead of the 4KB prior. TPS does not scan the Large Pages because they are so big they would probably not find any two that matches. 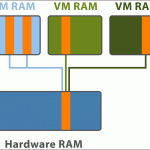 What this means is that you wont see the same amount of memory being reclaimed and freed up for other virtual machines. When moving to the latest hardware generation expect to use 20-30% more memory pr. Physical ESX host.